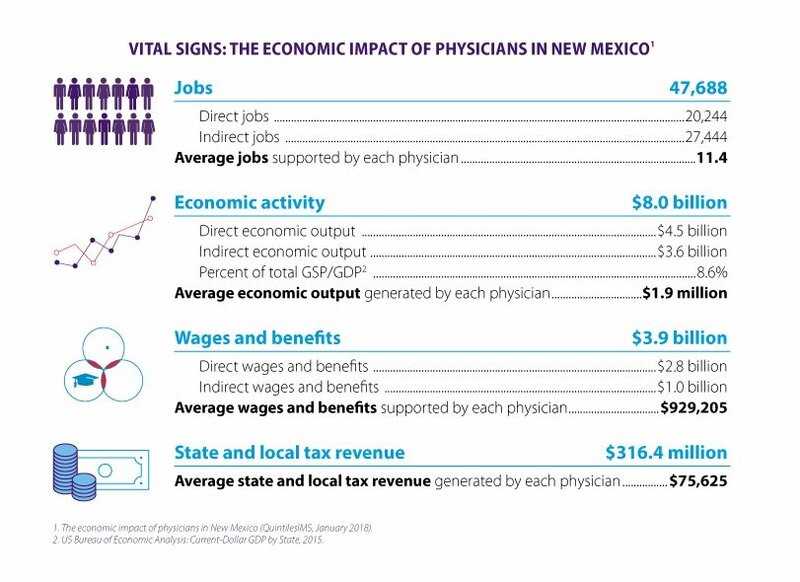 Physicians add opportunity, growth and prosperity to the New Mexico’s economy by creating 47,688 jobs and generating $8.0 billion in economic activity, according to a new report, “The Economic Impact of Physicians in New Mexico” released today by the New Mexico Medical Society and the American Medical Association. Physicians support 47,688 jobs in New Mexico — 11.4 for each physician on average. 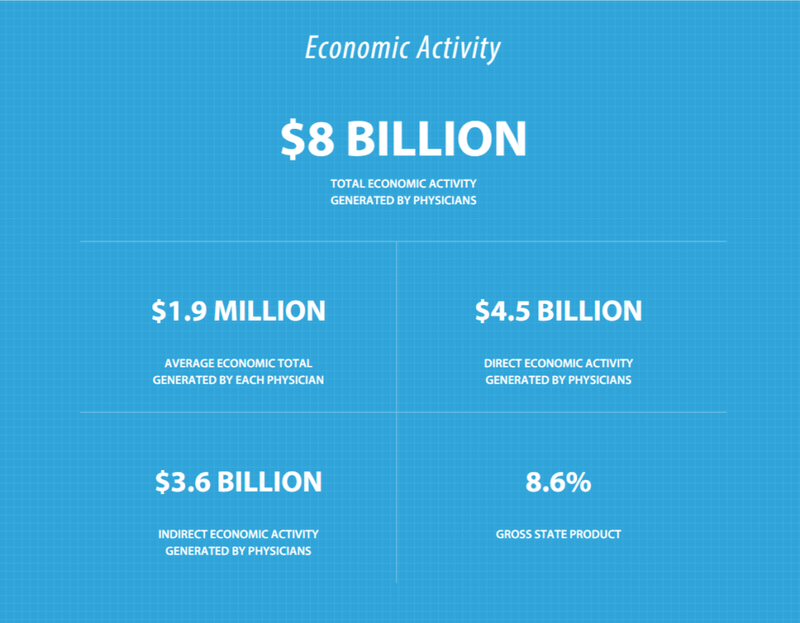 Physicians generate $8.0 billion in economic output, comprising 8.6 percent of the New Mexico economy. Each physician generates $1.9 million for the state economy on average. Physicians contribute $3.9 billion in total wages and benefits paid to workers across New Mexico, empowering a high-quality, sustainable workforce. Each physician contributes $929,205 to workers’ wages and benefits on average. Physicians’ contribution to the New Mexico economy generates $316.4 million in state and local tax revenue for their communities—translating to $75,625 for each physician on average—enabling community investments to be made. The report found that every dollar applied to physician services in New Mexico supports an additional $1.80 in other business activity. An additional 6.143 jobs, above and beyond the clinical and administrative personnel that work inside the physician practices, are supported for each one million dollars of revenue generated by a physician’s practice. In addition, New Mexico physicians generate more economic output, produce more jobs and pay more in wages and benefits than higher education, nursing and community care facilities, legal services, and home health. Across the country physicians add $2.3 trillion to the U.S. economy, support more than 12.6 million jobs nationwide, contribute $1 trillion in total wages and benefits paid to U.S. workers, and generate $92.9 billion in state and local tax revenue.